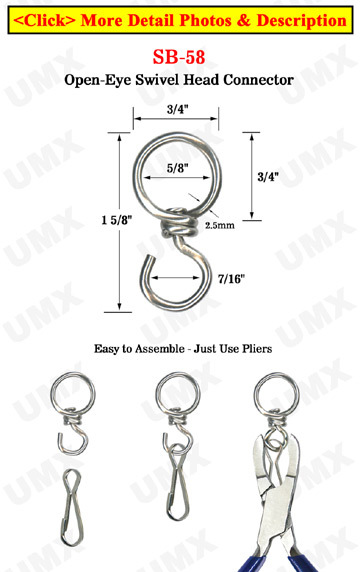 The large, 5/8", round-eye swivel head connector can be used with hooks, badge clips or straps, or universal strings. Easily insert a 5/8" round cord or flat strap. The SB-58 can also be used to connect to small devices, meters or other items that require the swivel function. Small Order: Big Size Spring Hooks: 2 1/16"